As expected, Queens Park Rangers failed to spoil Sheffield United’s party at Bramall Lane at the weekend, with the team suffering a 1-0 loss to the Blades on Matchday 27. The Hoops undisputedly play much better in front of home fans that on the travels, therefore, they are considered favourites to win Saturday’s football match against Preston. 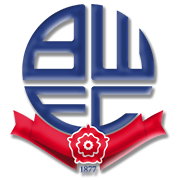 The Lilywhites, on the other hand, have been slipping down the standings week by week and seeing that they failed to win previous five league fixtures, we do not believe that they are capable of shocking the capital club at Loftus Road Stadium. 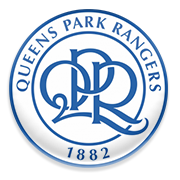 Queens Park Rangers are eyeing their third consecutive clean sheet on home soil and we predict that they are going to give fans some cheer this weekend. You should bear in mind, though, that Preston emerged triumphant in each of their last five meetings with QPR. The 28-year-old central defender Toni Leistner spent the majority of his professional career playing in native Germany, before arriving to Queens Park Rangers in 2018. Having made his professional debut in 2008 for his boyhood club SC Borea Dresden, Leistner enjoyed a mixed spell at a hometown club Dynamo Dresden before he was shipped out on loan to Hallescher FC in 2013. It wasn’t until he arrived at Union Berlin in 2014 that his true colours were beginning to show. Four years and 115 league matches later, a towering right-sided defender arrived in England as one of the best centre-backs in the German second tier over the past couple of years. Aston Villa were reportedly among the clubs looking to bring Leistner during the summer of 2018 but ended up being beaten to the punch by QPR who made the German defender a new captain heading into the 2018/19 campaign.